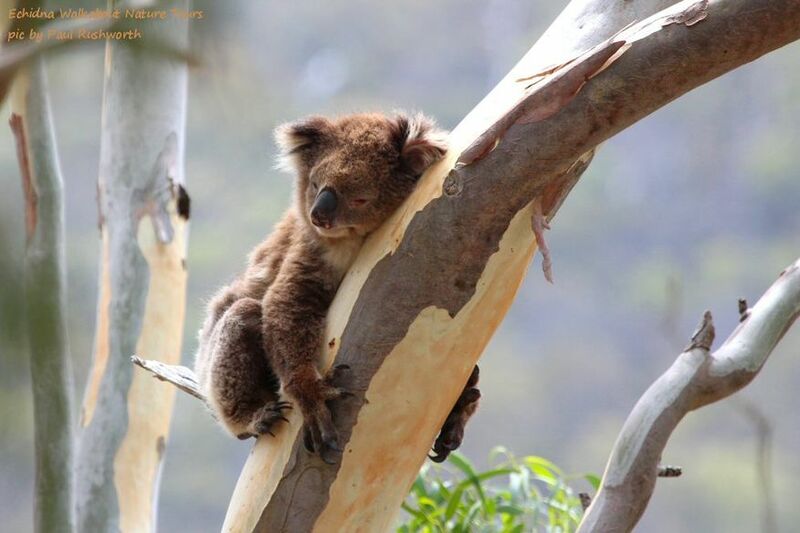 Ever alert, a koala is the eyewitness to all life in the Australian Bush. 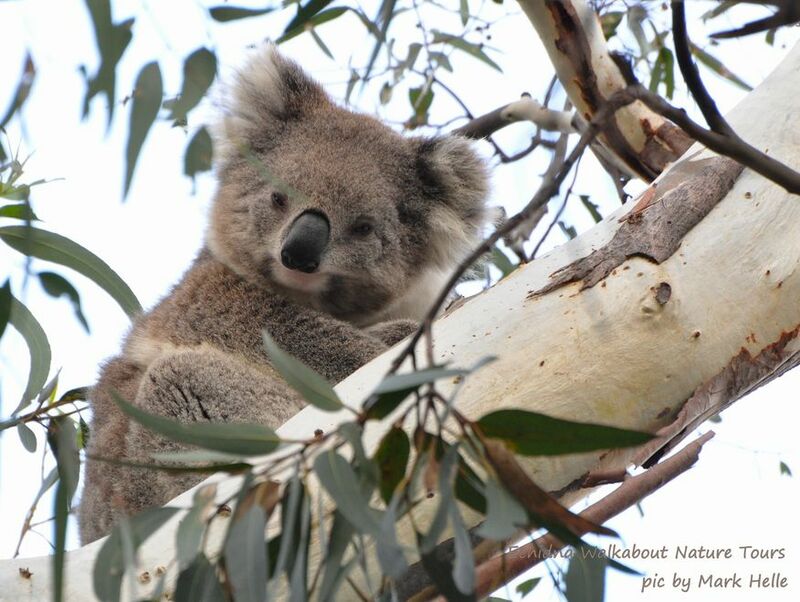 Be part of a 16 year research project showing how wild koalas lead interesting, social lives full of interaction with their own kind and other species. Join a wild koala researcher to monitor a day in the life of a koala, and help create a home for the next generation of baby koalas. 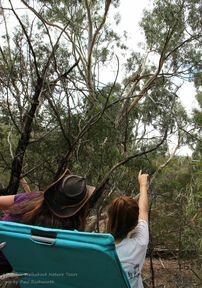 Part of the day is spent assisting our Koala Researcher to find wild koalas in their natural habitats. Once found, each koala is photographed, GPS located, their behaviour and tree species noted. As important as the koalas themselves is their environment. One of your activities during the day will involve recording each species of wildlife seen, and helping prepare to submit these sightings to the Atlas of Australian Birds, and CSIRO's Atlas of Living Australia. The data we collect provides an enormous resource that helps monitor changes in populations over time. Koala habitat improvement is the focus of the rest of the day. Boneseed (Chrysanthemoides monilifera) is an invasive weed of National Significance. 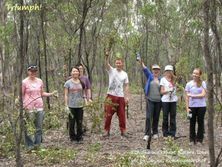 Wild koalas in the You Yangs avoid areas thickly infested with Boneseed, so by removing the weed we make areas suitable for koalas. Weeding is easy, chemical-free, and requires no special tools or equipment. 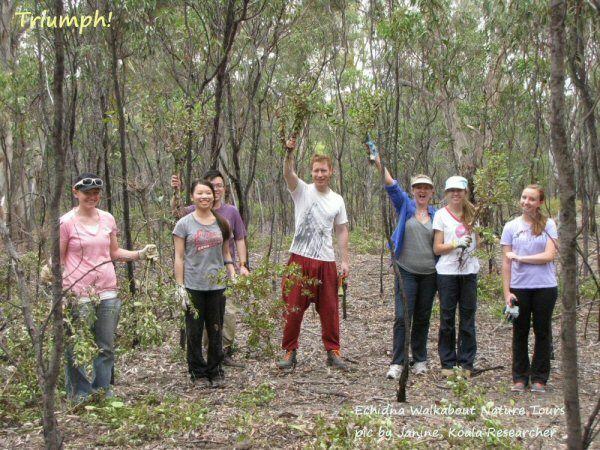 Each Volunteer day we create a whole new koala habitat. Ideal for school groups, clubs, team building days, or individuals. Contact us to find out dates and details of upcoming volunteer days or to arrange a group booking.